One of the hardest things that people have is to create a loyal following and offer them knowledge. So, what the end up doing is to create tutorial videos that would be able to guide their followers with a step-by-step instruction on what needs to be done to achieve a particular goal. Be it knowledge, or gaming, or for that matter even make-up tutorials. Everything requires a step-by-step guideline. However, when it comes to creating tutorials, people are left with a fix; they do not have the appropriate Software that can enable them to record everything going on in their screen. 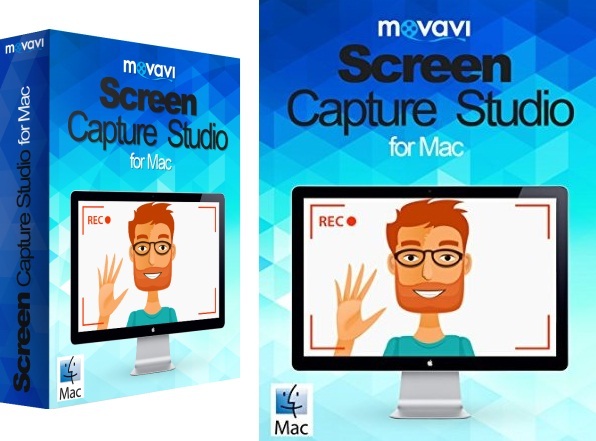 In this article we are writing the detailed Review of Movavi Screen Capture Studio Software for Mac OS X laptops and desktop PCs. At this particular moment, if you have Windows operating system, then there are various third-party applications that can help you to capture your screen. However, for the Mac operating system, there is precious few applications, and even fewer applications that can actually do the task according to your instructions. One of them would have to be the Movavi screen capture studio for Mac. This software has the ability to record screen on Mac, thereby making it one of the best methods with which you would be able to create tutorials without coming across any problems. Moreover, the videos will be replete with a variety of transitions and quirky effects as you have the ability include all of such video editing skills with the help of the software. This is professional software, and one of the best-known in video editing tools that can definitely turn the raw footage captured by the screen grab and converted into a highly professional video clip. All the unwanted portions of your recording can easily be chopped off, and you can add music, enhance the video, and create beautiful transitions by joining certain parts of the clip. The ease of working with the new software is not something that can be associated with a lot of third-party applications. However the Movavi screen capture studio for Mac happens to be one of those highly coveted software that also has a very easy-to-use interface. All you need to do is to set the recording parameters, and then capture the video. After that, you can end up processing the video with the help of the editing application within the studio, and save the video in the desired format. Yes, it is as simple as it can get when it comes to recording video from your computer. You will be able to adjust the recording area of the screen, said the required frame rate, and also capture audio from any source like your headphones or from your connected mike or any MIDI devices. Even things like Skype video calls can be captured with this particular device. The best part about this software is that although the software is not free, you get a lot of discounts due to the different kinds of discount packages provided all throughout the year. If you need comprehensible video capture software for your Mac operating system, there is nothing better than this.